Hugh Jackman is about to play Wolverine for the 6th time. That's as many times as there are Superman movies. More times than cinematic Spider-Man and one less than Batman. Where 5 actors have played Batman and his mask Bruce Wayne, Hugh has played Wolvie each and every time. Soon he'll venture into Roger Moore James Bond territory. This past Saturday in Hall H he appeared on the FOX panel for two different movies, playing the same character! 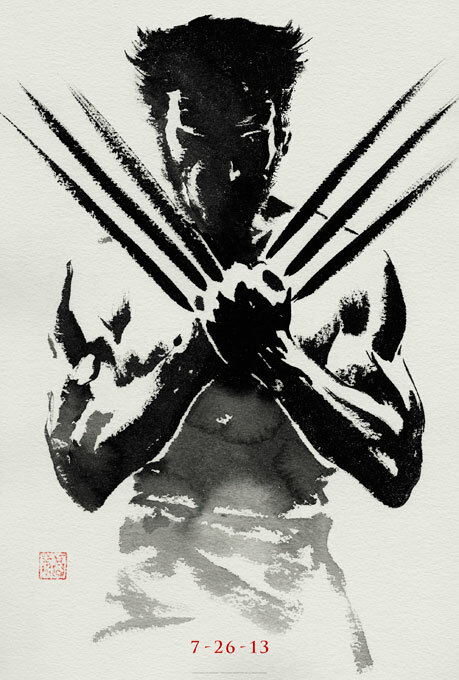 Anyone who has read X-Men knows Wolverine is the moody hot head with unbreakable bones, claws that pop out of his knuckles, healing factor and gravity defying hair. 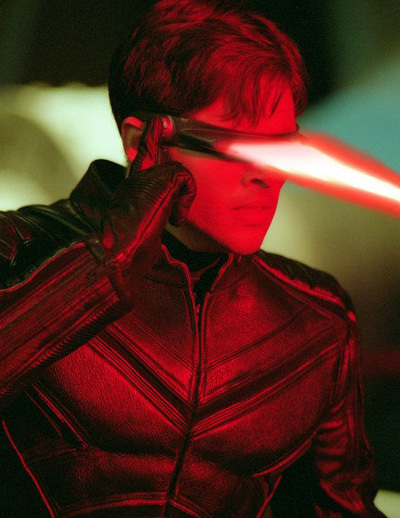 While the level headed leader who fires optic blasts that shatter mountains is Cyclops. Calm, cool and collected yet a babe magnet (Jean Grey, Psylocke, White Queen) and badass in his own right; Cyclops has never been given any cinematic credit. In X-Men he isn't phased by Logan's tantrums but doesn't have much to do besides be the punch line, have his girlfriend hit on and not be able to land a jet. In part II, he has a quick fight scene, gets captured, mind controlled and forgotten for much of the running time. His minutes quickly run out in X3 as Cyke is in brooding mode over the loss of Jean Grey and then seemingly vaporized by her returning spirit/ghost/whatever. Poor James Marsden...but seriously, he's doing alright. My theory is that the X-Men movies were made too late. If this were a 90's joint, prime time of the buddy picture, we could have had a great cinematic version of Cyclops played by none other than the sensitive action hero himself, Michael Biehn. Biehn was the rare breed of "action" hero that was equal parts handsome, physical, courageous and vulnerable. Look to his performance as the lovelorn, time traveling, father of the future Kyle Reese in The Terminator. Or as soft spoken, take command under pressure while fighting Xenomorph hordes, Corporal Hicks in Aliens. 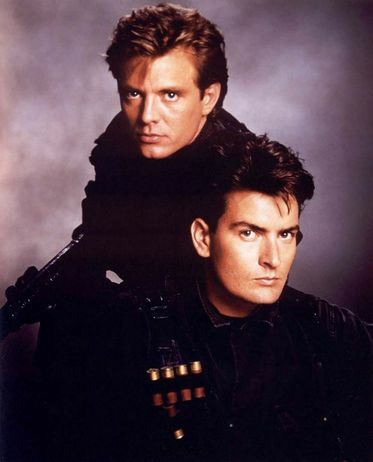 Or maybe his greatest cinematic Cyclops similarity, Lieutenant James Curran in 1990's Navy Seals where he's paired with bad boy Charlie Sheen. In Seals, Biehn plays a leader who is strong yet compassionate and carries the responsibility of protecting his team while still managing to get the girl. Sheen plays hot dog Hawkins, the brash, "shoot first, ask questions never" type who tries to get the chick but fails. His recklessness ends up costing the life of a team member and gets him into a verbal beatdown with Curran, who is holding the stone of grief. By the end of the film Hawkins has to give up his selfish ways in order to save Curran's life and get the team to safety. This dynamic absolutely could have worked with Cyclops and Wolverine. If you'd like a classier example because you're a movie snob who's never seen Navy Seals but judges anyway because you saw Clerks; I give you Lethal Weapon's Martin Riggs (Mel Gibson, best dad ever in The Patriot) and Roger Murtaugh (Danny "Damn birds" Glover). One's crazy, one's calm, one shoots to kill, the other to wound and question. Or just look to Leonardo (leads) and Raphael (cool but crude) from Ninja Turtles. It's the same damn thing. But X-Men was a gamble, big budget comic book movies were far from the norm in 2000; so much so that FOX hedged their bets around the mysterious loner/badass character, had drafts of the film titled Wolverine and the X-Men, shut down production midway to reassess and the fact that it was a hit and spawned 4 sequels is a bit of a movie miracle. Besides, Cyclops is already dead during the Days of Future Past story arc so we can't really complain about his absence. Ah well, maybe someday, after Hugh Jackman stops playing Wolverine we'll get a decent onscreen adaption of Cyclops.